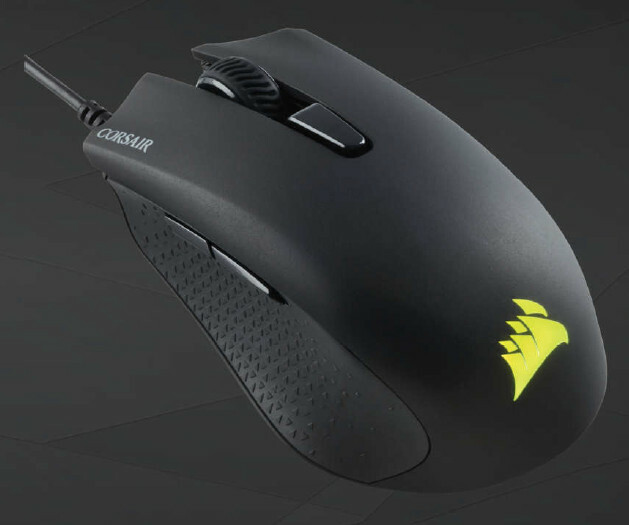 By creating a low-priced variant of their highly-praised gaming mice, Corsair has placed the CUE unified software at the disposal of virtually anyone. With only $30, we are getting a well-built lightweight product featuring a total of six buttons, which features 128kB of onboard memory for storing settings in hardware, on-the-fly DPI switching with configurable presets in increments of 250DPI to a maximum of 6000DPI, Omron switches rated for 20 million clicks and a polling rate configurable to values up to 1000Hz. At first we would like to thank Corsair for offering us the Harpoon RGB Gaming Mouse for testing and reviewing.